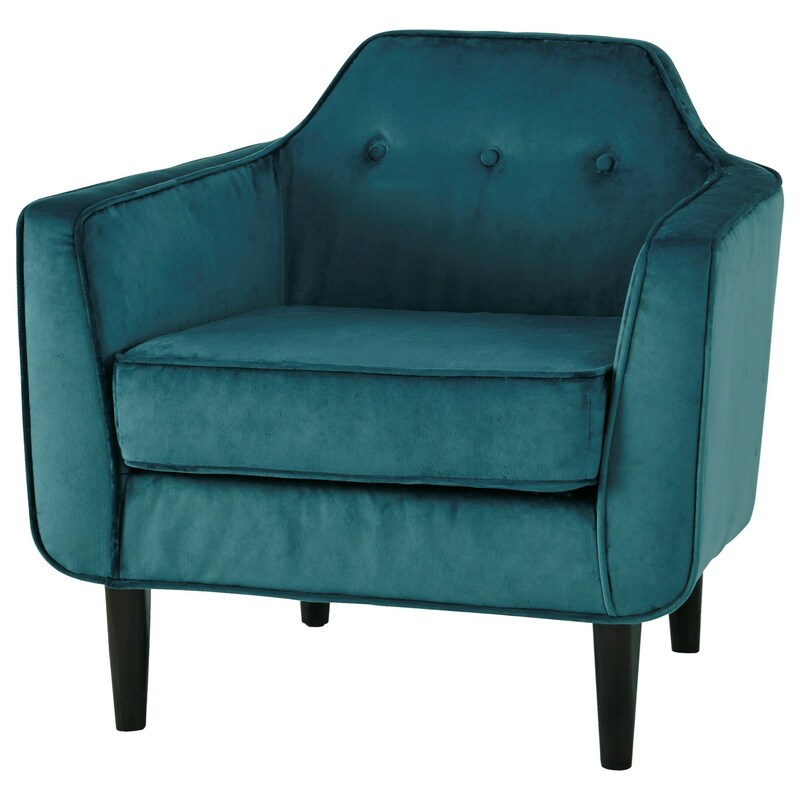 Showoff your retro style with this crushed velvet accent chair. Its unique silhouette has a shaped back with a single row of button tufting, welt trim, flared track arms, and tapered rubberwood legs. The Oxette Mid-Century Modern Accent Chair with Shaped Tufted Back & Crushed Velvet Fabric by Signature Design by Ashley at Value City Furniture in the New Jersey, NJ, Staten Island, Hoboken area. Product availability may vary. Contact us for the most current availability on this product.